See a Chicago Bulls home game with the loudest fans in the NBA at the United Center. Great Bulls Game Tickets are available for every home game. 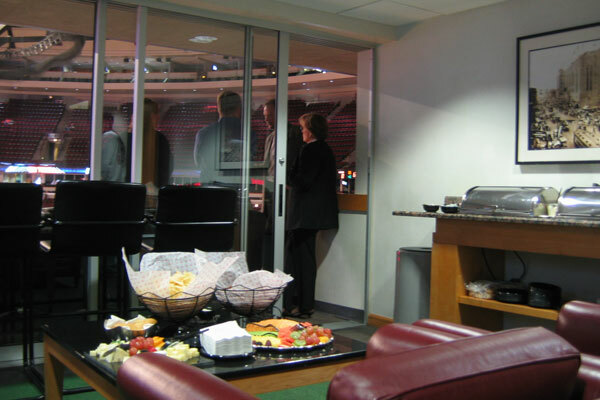 Entertain your best clients in style at a Chicago Bulls game in a Bulls Luxury Box Suite. Bulls Box Suites seat 18 people. Catering is available for lunch or dinner. Bulls Travel Packages can include game tickets, hotel stay, plus transportation to the game! Purchase tickets to any home or away Bulls game this season. Greats seats are available at all areas of the United Center stadium. Entertain in style at a Chicago Bulls game at the United Center in Chicago, Illinois at a private Bulls Luxury Box Suite. Bulls Box Suites seat up to 18 people. Catering is available for lunch or dinner. Suites sell out quickly. Call 1-888-654-7755. Please fill out the following form to request a proposal for Luxury Suite Rental. 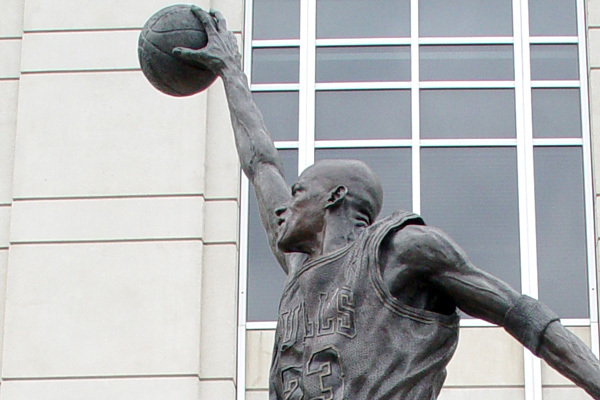 Do you want to visit the United Center and experience a Chicago Bulls game? Let Sports Traveler plan your entire trip! We can customize your very own tour package to include game tickets, hotel lodging in downtown Chicago, transportation, and even VIP options. Please tell us about the trip you would like to plan and let us take care of the rest! The United Center is the home of both the 2010 Stanley Cup Champion Chicago Blackhawks of the NHL and the 6 time NBA Champion Chicago Bulls. The United Center first opened in August of 1994. It seats 20,500 (not including standing room) for hockey, 21,711 for basketball and up to 23,500 for concerts. It is commonly referred to as "The UC" or "The house that Jordan built." Before the UC was built, it's predecessor was the Chicago Stadium, which was extremely popular among sports fans, because of the amount of noise that was generated inside the arena, mostly at hockey games. This reputation gave the Chicago Stadium the nickname "The Madhouse on Madison."